Quantitative information about precipitation is one vital input to meteorologists, hydrologic scientists, water resources managers, and environmental legislators. Yet, accurate measurement of precipitation over the relevant space and time scales remains a challenge. 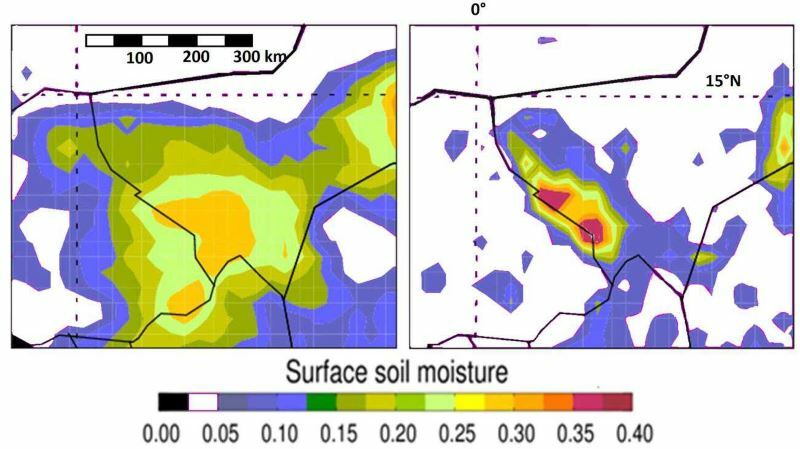 Soil moisture can be seen as the trace of the precipitation and, consequently, can be useful for providing a way to estimate rainfall accumulation or at least a new constrain to rainfall algorithms. 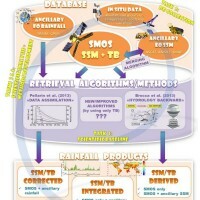 The objective of the project is to assess the potential of the new observational capabilities of the SMOS satellite to infer andor enhance rainfall information over land. Two main approaches will be carried out and will be assessed on nine selected sites in six different countries where dense and high-quality rain gauge network is available. 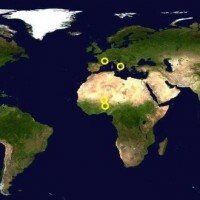 Two approaches are used in the project: SM2RAIN and LMAA. 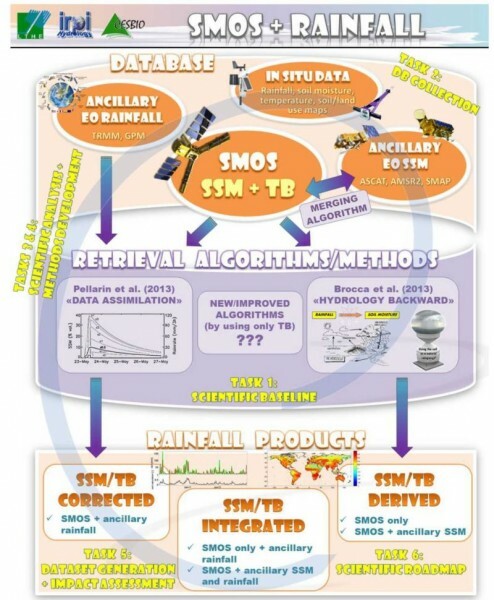 SM2RAIN is based on the inversion of the soil water balance analytical equation and allows to directly estimate rainfall from SMOS soil moisture observations. 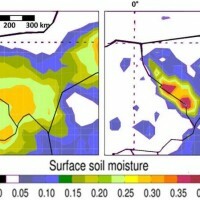 LMAA (Land Surface Model Assimilation Algorithm) will consider the correction of rainfall through the assimilation of SMOS soil moisture observations in land surface modelling.